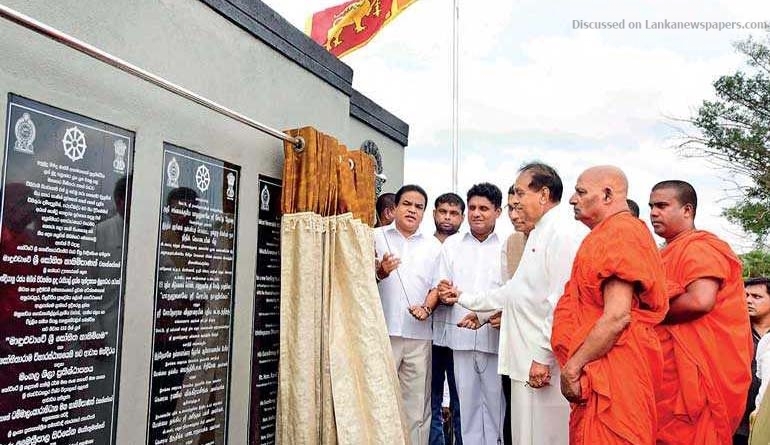 At a special ceremony held on 27 May, the foundation stone was laid to start the construction work for development of Most Ven Maduluwave Sobitha Thero Village (Elapathagama) in Anuradhapura District. The foundation stone was jointly laid by Speaker of Parliament Karu Jayasuriya, Minister of Housing and Construction Sajith Premadasa and Acting High Commissioner of India Arindam Bagchi in presence of Minister of Land and Parliamentary Reforms Gayantha Karunathilake, Minister of Primary Industries Daya Gamage and Minister of Social Empowerment P. Harrison and with the blessings from venerable monks from the Mahasanga. Several Members of Parliament, senior officials from Government of Sri Lanka, Board members of Ven. 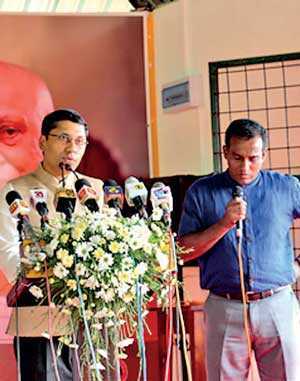 Maduluwawe Sobitha Thero Commemoration Foundation and a large number of the public also participated in the event. The village will be developed using a grant of Rs. 300 million from the Government of India. The project envisages construction of 153 new houses, a multipurpose community building and alms hall, internal water supply system and renovation of Monk’s Quarters and library. This project is part of India’s development cooperation with Sri Lanka. Ministry of Housing and Construction is the Implementing Partner from the Government of Sri Lanka for this project. In addition to the above project, in collaboration with the Ministry of Housing and Construction two other projects to construct model villages in each district and model villages in Southern Province of Sri Lanka comprising of a total of 1,200 houses are also under progress.